We rebuilt SunDanser's site, giving it an updated, modern look. 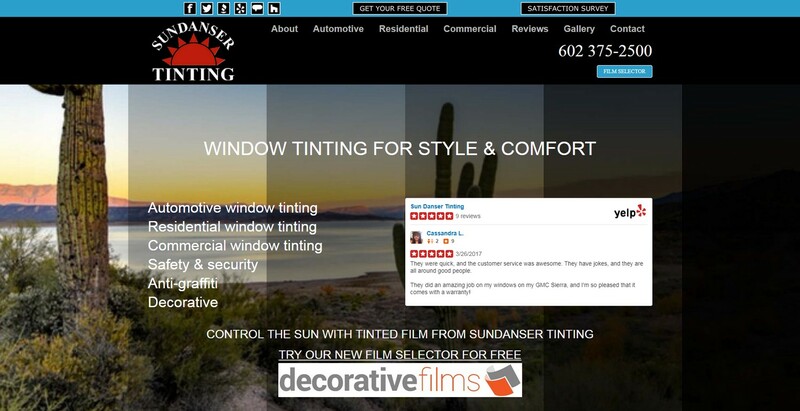 The home page image has different tints over it to help site visitors get an immediate visual impression of how tinting can change their home or vehicle. We added a film selector from Decorative Films so visitors can select from the various film types and shade.